Hurricane Matthew recently wreaked havoc along the East Coast killing over 43 people and millions of farm animals in North Carolina. Although we are land locked in Nashville Tennessee, we experienced a natural disaster in 2010 with the 500 year flood wiping out downtown Nashville and many neighborhoods. Twenty six people died during that flood and over 11,000 properties were destroyed. With the recent national disasters, many people lost everything including their pets. Are you and your pet prepared should you have to leave quickly? Are you prepared to “bug out”? Do you have a survival plan and supplies in place should you have to stay in your current environment? Most people would answer “no” to the questions above. 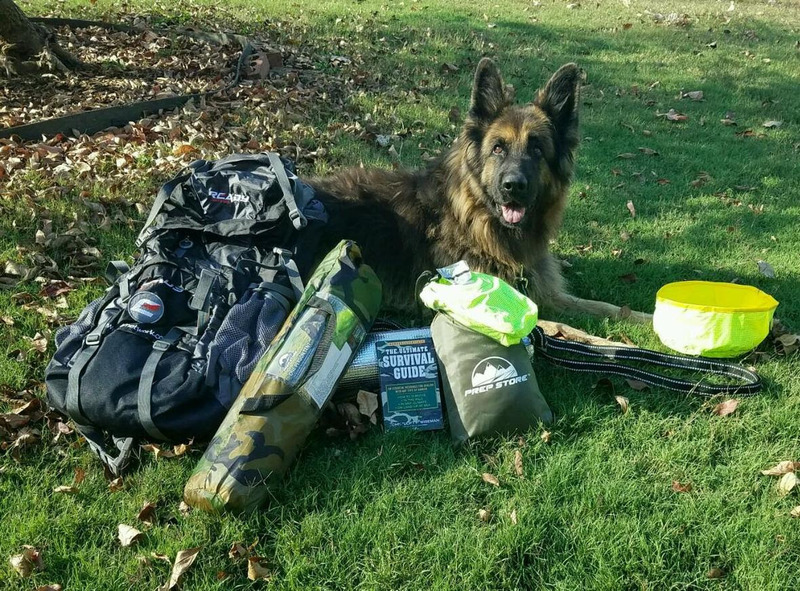 Despite my military experience, my emergency medical management experience, and my years of living in areas with national disasters, I have fallen short on a “bug out” plan for my family and my fur baby…until recently! If you haven’t heard the term “bugging out” before, it simply means leaving your current location to a safer environment. In order to be “a little prepared” I have listed a few things you should have in your arsenal to last just a few days! Some of these are common sense but you would be surprised at how many people do not have basic supplies. An experienced survivalist would laugh at this list….but let’s face it most of us are city folk. The survivalist staff at ReadyNetwork.com/poodoo can help you with all of your gear or survival questions you may have. A) Food and water for a week. Remember to pack your portable Poo Doo water bowl and new Poo Doo portable zipper closed food bowl to be released next month. B) Medications/bandages—pack Neosporin, ace bandages, silk tape, alcohol pads, and your dogs home medications. Remember many medications given to humans can be given to dogs. They are based on body weight. Some of these OTC medications include benadryl, buffered aspirin, Dramamine, hydrogen peroxide, Immodium AD, Kaopectate, mineral oil, Pepto Bismol, and Robitussin DM. Please make sure you verify with your Veterinarian that these meds are safe for your dog! C) Medical records to include shots, proof of ownership, and rabies vaccine verification. Of course Poo Doo Leash can supply functional and fashionable leashes for you! Make sure you have tags with name and phone number listed. Many leash companies can embroider on your dog’s collar important information. Poo Doo leash can do this on special request. Microchipping is important. Please update your personal information on the microchip should you move or change phone numbers! If you have a large breed, a dog pack can be loaded for your pooch to carry their food, water, emergency kit. Poo Doo Leash will have these in the near future! Our current harnesses are being reconfigured to have removable packs! Now that we have reviewed what is needed for your pooch, let’s talk about what is needed for you and your family! If you were caught in a situation where you needed to provide your family with every basic need within hours…would you be able to? Poo Doo Leash has teamed up with Ready Network to help spread the word about an awesome bug out bag they just brought to the market. There are so many items in this back pack that I can’t list in this brief newsletter! Go check out readynetwork.com/poodoo for all your camping and survival needs! Poo Doo Leash will have additional pet survival/pet camping products coming soon to Poodooleash.com. For being a loyal customer, Poo Doo Leash is giving 10% off this month with the coupon code “survival” at checkout. 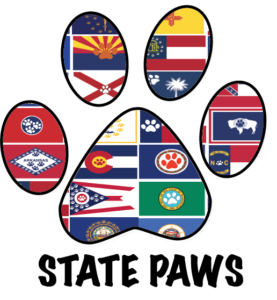 Next month we will be having our Christmas drawing for a great prize from my new design line “State Paws”. Have a wonderful fall season!